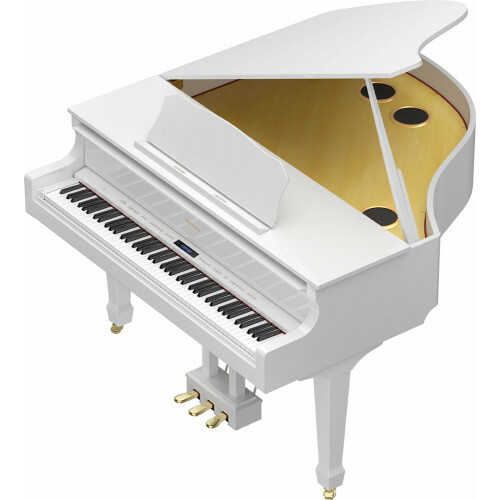 The New Roland GP-609 is the flagship of the Roland line of fine pianos. 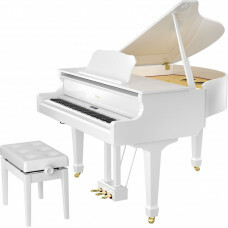 Housed in a full size baby grand piano cabinet it looks stunning. 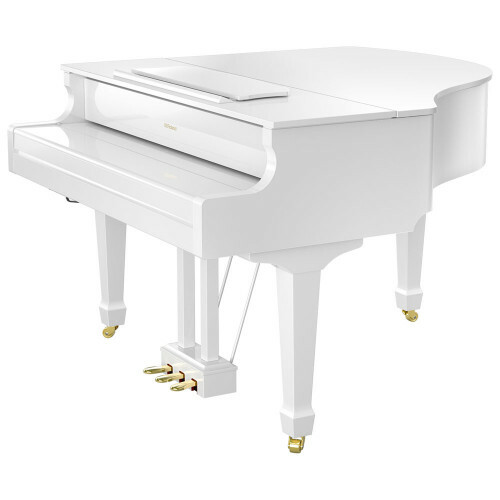 It's premium 6.1 sound system delivers stunning tone without the "point of origin" of the piano sound that speakers often produce. Different parts of the sound are directed one of seven amplifier / speaker systems producing an organic spread out sound as found on the largest professional grand pianos.